Among all of the new features, the two that are important to highlight are social networking and customizable themes on pages. Until today Pageflakes users could create pages for their own use, and/or make public pages called Pagecasts. The content was and continues to be completely up to the user. 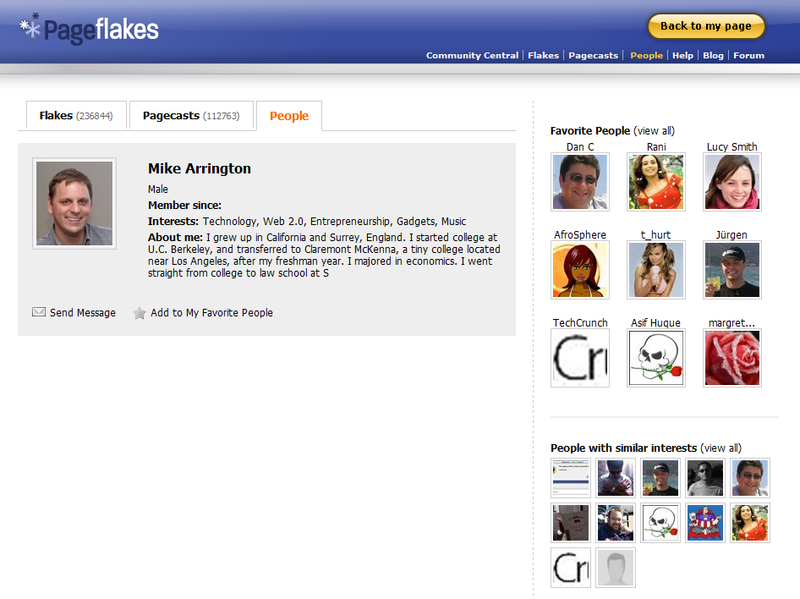 Now, however, each user also gets a profile page and can add other Pageflakes users as friends. Effectively, Pageflakes is now a social network, and users can connect based on common interests. See a screen shot of my profile page above (click for larger view). 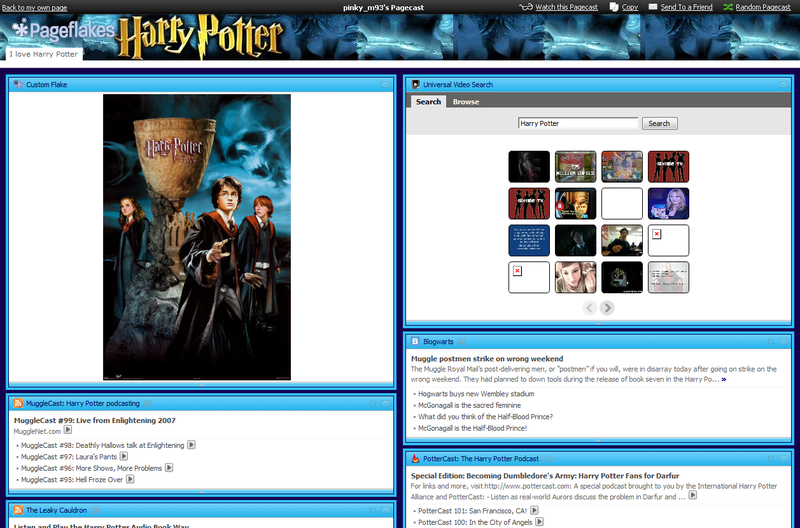 Users with common interests are shown on the bottom right. Pageflakes is also releasing “themeable” public pages and has partnered with a number of high profile media companies to create their own Pagecasts – USA Today, Rolling Stone, CNN, WashingtonPost, Newsweek Interactive, Entertainment Tonight, The Insider, Slate, AOL, Die Welt, Bild and others. This is comparable to Netvibes’ Universe product, although Pageflakes is live and anyone can create a themed public page (Netvibes still requires a partnership, you can’t just create one yet). Over 120,000 public pages have been created by users to date – now those pages can have custom themes. The TechCrunch public Pageflakes page is here. Pageflakes also continues to roll out more widgets – they have 240,000 so far. And new users will like the auto-customization that lets them create a customized page quickly based on a few questions. See a full profile of the company here, and note previous product releases as well. This continue to be a heavily competitive space, but that competition is driving innovation – from Pageflakes as well as the others. Consumers win.